Tyrell Moyd began serving in the Behavioral Health profession full-time in April 2012. As a Workforce Development Coordinator, he created an intensive workforce development program which taught individuals professional soft skills as well as provided hands on technical skills in various areas. Tyrell grew in his profession, and went on to become the Director of the Penn North Community Resource Center. Along with direct service to the community, Mr. Moyd also began to facilitate Recovery Support trainings with his mentor. 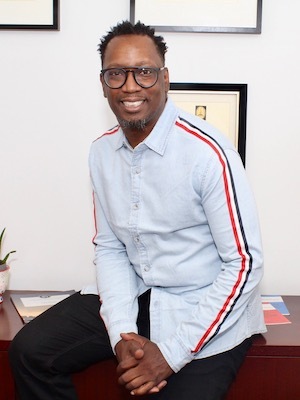 Under the tutelage of Carroll Conquest, facilitation revealed Tyrell’s gift to coach and cultivate Recovery Support professionals, and in October of 2015 he became the Director of the Baltimore Recovery Corps (BRC) @ Penn North. As the BRC Director, he was responsible for the delivery of both core-curriculum and supplemental classes for individuals interested in becoming Certified Peer Recovery Specialist in the state of Maryland. Mr. Moyd is a highly respected facilitator and prides himself in delivering trainings that are engaging, challenging and fun. He has been recognized for his service to the Behavioral Health community by the Baltimore City Mayor’s office, a Governor’s citation, the Maryland General Assembly and the National Council on Alcoholism & Drug Dependence-Maryland.